One cub will be chosen for the mission of a lifetime. 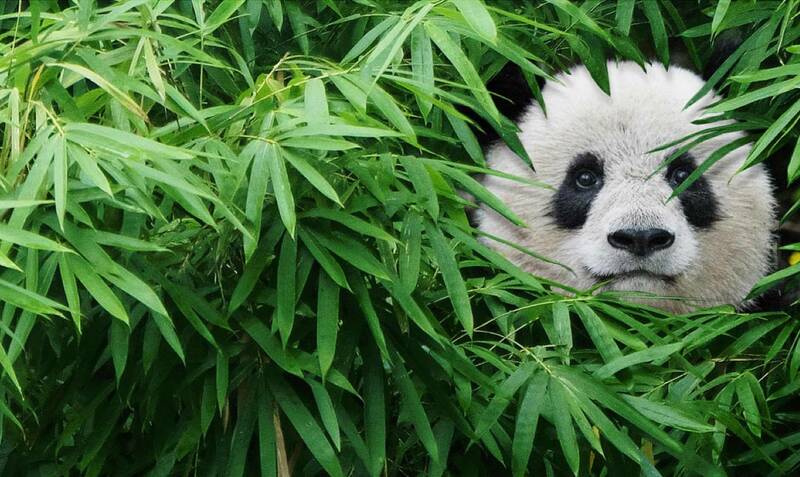 Pandas are beloved around the world. And now they are coming to the big screen in the IMAX® original film Pandas, a breathtaking documentary adventure and amazing experience for the whole family. Last showing on Wednesday, November 21. Narrated by Kristen Bell (Frozen, TV’s The Good Place), this film follows scientists at the Chengdu Panda Base in China who are breeding adult Giant Pandas in order to introduce cubs into the wild. What starts as a cross-culture collaboration becomes a life-changing journey for an American biologist who crosses an ocean to join a scientist from Inner Mongolia and a very curious female cub named Qian Qian, born in captivity. Directed by David Douglas and Drew Fellman, the filmmakers behind Born to be Wild and Island of Lemurs: Madagascar, Fellman wrote and produced, with Douglas as director of photography. Members watch at a discount. Save on your OMNIMAX ticket with a Saint Louis Science Center membership.